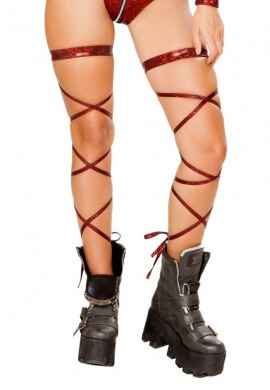 Leg wraps are the perfect inexpensive accessory for all beautiful ravers and festival fashionistas. They can add color, depth and character to your legs in an instant. These rave leg wraps are really easy to wear, all you need to do is slip them on and wrap them down your legs in whatever pattern you like best and tie them at the bottom. Wear two or three different colors and layer them for a unique look. Our elastic leg wraps have unmatched quality and are made in the USA. Leg Wraps There are 49 products.